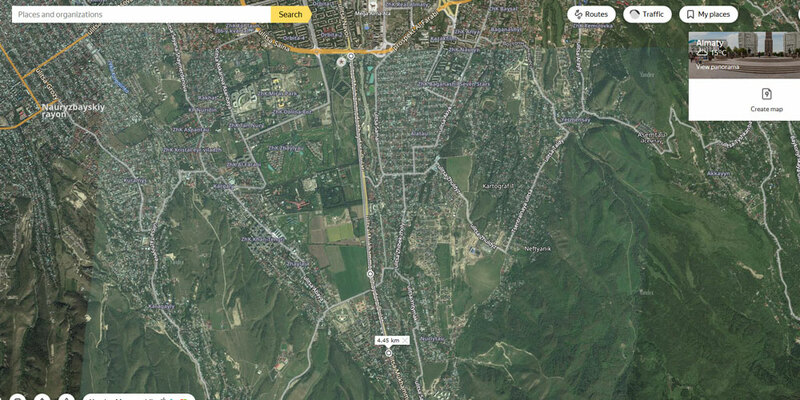 With this article, I begin a series of articles about popular tourist destinations, which are located near Almaty, weekend tours. 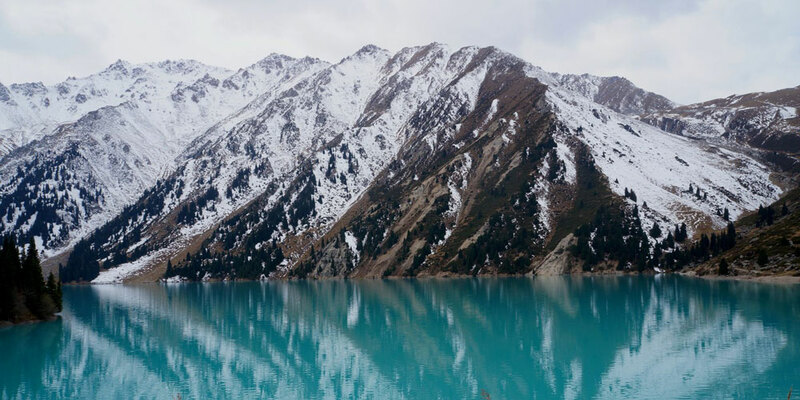 The Big Almaty Lake is a high-mountainous reservoir of tectonic origin located in the Zailiysky Alatau at an altitude of 2,511 meters above sea level, 15 km south of the center of Almaty. The length of the coastline is 3 km, the depth is up to 40 meters, the length is 1.6 km, the widest place is 1 km. 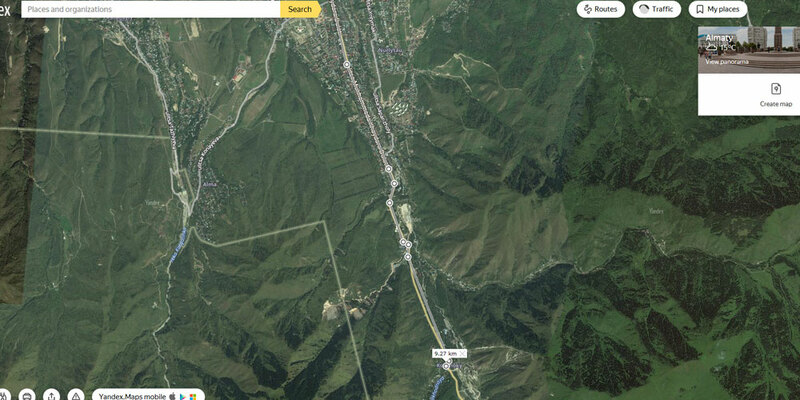 Near the lake there are snow peaks of the Zailiysky Alatau, the highest of which are «Tourist» (3,954 meters), «Ozerny» (4,110 meters), «Peak Sovetov» (4,317 meters) and Peak Bolshoy Almatinsky (3,681 meters). 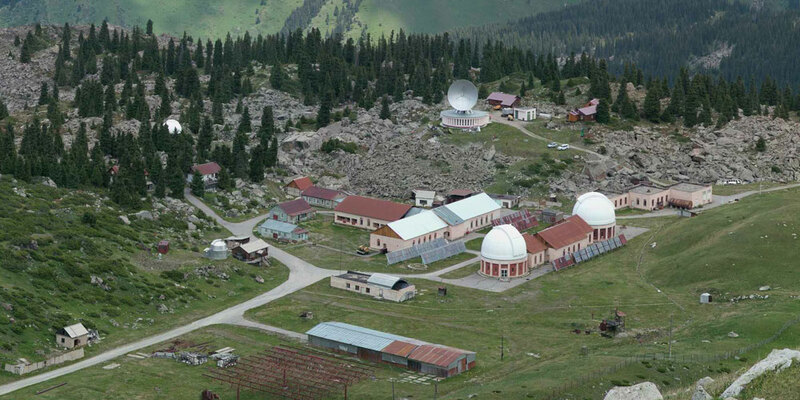 At 2 kilometers above, along the mountain road, there is the Tien-Shan Astronomical Observatory, and even higher by 8 kilometers, at the Zhusaly-Kesen Pass, there is the Tien-Shan Alpine Scientific Station of the FIAN (Cosmostation). 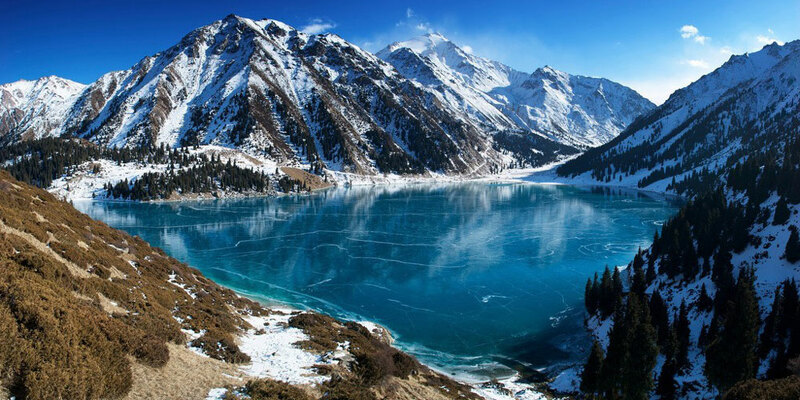 1)	Since BAL is one of the main sources of drinking water for Almaty, it is prohibited to swim in the lake. 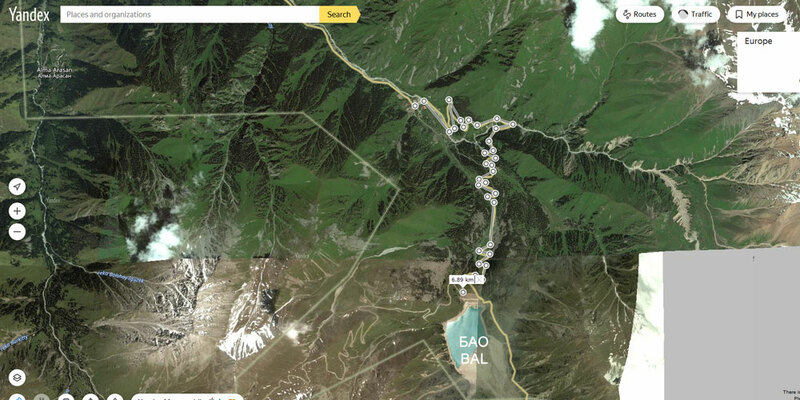 2)	BAL is a regime facility, tens of kilometers away from it is the border of Kazakhstan and Kyrgyzstan, so do not be surprised by the presence of border guards there and do not forget to take your ID or Passport with you. To go up the gorge or to relax in the area behind the dam of the lake, you need a route sheet or a pass that is issued to the KNB RK. Also suitable is a voucher issued in a travel agency. 3)	Going to BAL choose comfortable shoes and clothes, you also need to remember the temperature difference, because of the height in the mountains is always colder than in the city, in summer it is also worth taking sunglasses and cream. 4)	In the immediate vicinity of the BAL there are no catering establishments, so take with you your drinking water and provisions. You can reach BAL in the following ways: by private car, by taxi, part of the way by bus and part of the way to walk, or use the services of travel agencies. By private car: It is very easy to get to BAL by private transport, it is necessary to get to the intersection of Al-Farabi and Dulati avenues, then follow Dulati Avenue about 9 km in the direction of the mountains to the fork, along the avenue there are many cafes and restaurants, you will also need Drive Ecological post, eco-collection approximately 400 tenge (1.2 USD) per person. 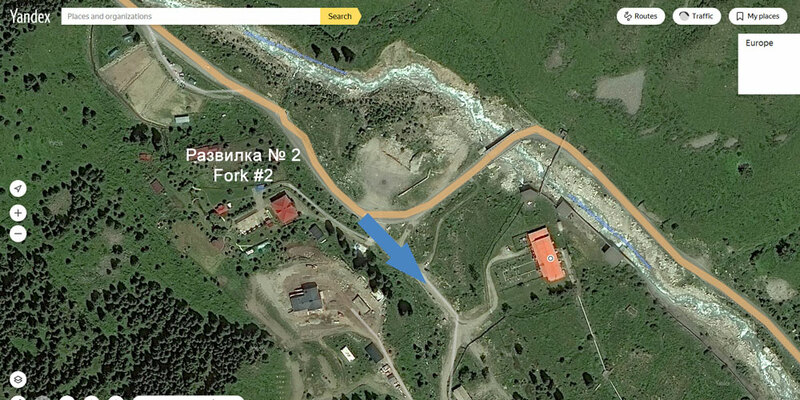 At the fork, you will need to turn to the left and drive along the serpentine for about 7 km, then before reaching the pipe and power station you must turn left on Prokhodnoye gorge (according to the index «Hotel Al'piyskaya roza») and drive another 7 km. The whole journey takes about an hour. You shouldn’t go there in bad weather or if you are unexperienced driver : road to the BAL is a serpentine with a lot of sharp turns, narrow areas and places where a rock fall is possible. By taxi: At the intersection of Al-Farabi and Dulati avenues, you can take a taxi to get to the fork, where the pipe and the power station begins, and remember on the way you will need to pass to an ecological post. 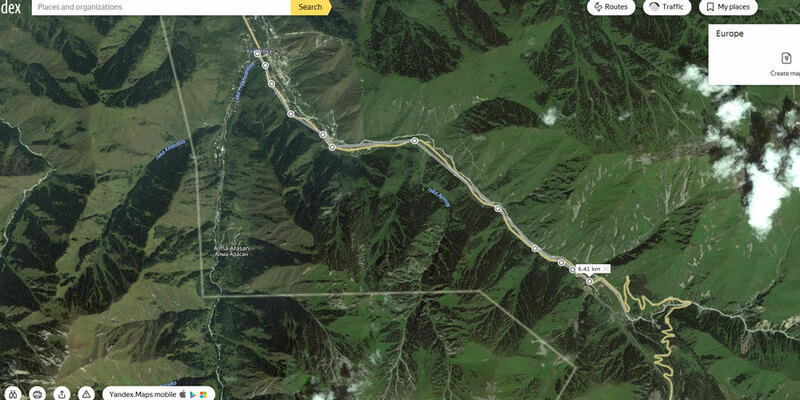 Further, from the fork near the power station, you will need to climb up on foot, the road will take about 2 hours. The ascent at the beginning and end of the path is steep enough. Some tourists climb the pipe itself, do not advise it if the pipe is wet, after a rain or you have slippery shoes, and also in places with steep ascent. It's unlikely to get lost, because there is only one road going to the BAL. 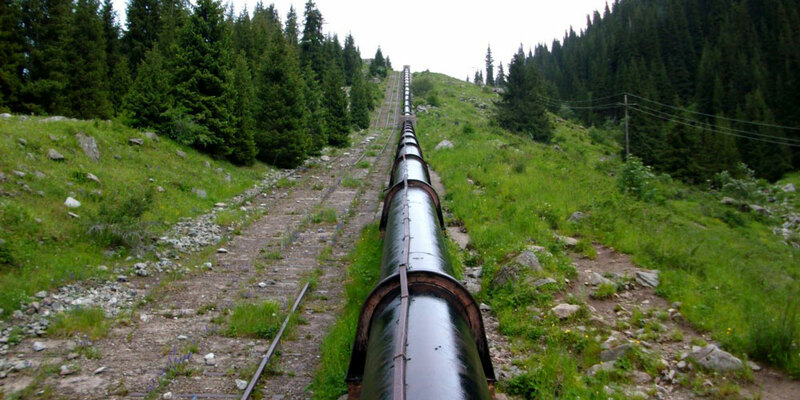 Instead of climbing along the pipe, you can choose to climb along the road, see the section «By private car» for more details, this way is twice as long as distance, but technically easier. 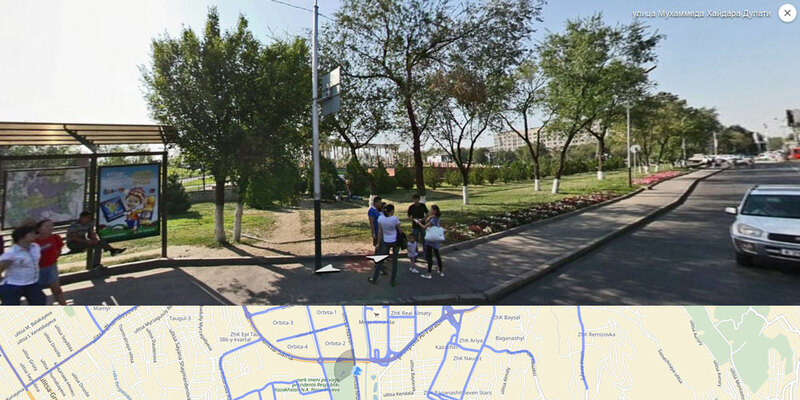 On the way back, the walking part will last longer, since you will need to reach the fork, where the ending bus stop, read about this place below, from there you can take a bus or take a taxi, the fare in a taxi to the First President's Park is 400-500 tenge (1.2 – 1.5 USD). By bus: It is recommended to go by bus only if you are not afraid of long hiking, since you can not get to the lake by bus. 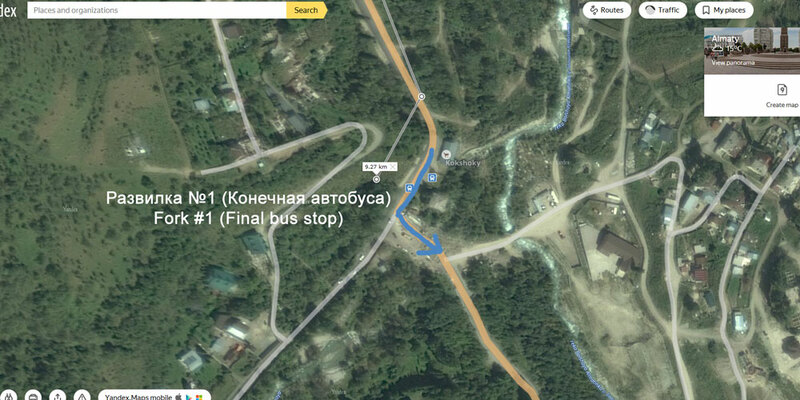 You will need to get the bus 28 at Dulati Avenue, bus stop at the park of the First President of the Republic of Kazakhstan, and go to the final one, which is located at the fork between the canyons of Big Almatinsky and Almarasan, along the road you will have to go through the turnstile of the ecological post, an environmental fee of about 400 tenge (1.2 USD) per person. At the fork, you will need to turn left and walk along the road for about 7 kilometers, it will take about 2 hours, until the fork near the power station where the pipe begins, there turn right before a steep climb near the power station, then climb along the tube, which will take about 2 hours, for more information about the road see the section "By taxi". The walking part of the route is about 10 km uphill, if you climb along the pipe and about 14 km while climbing along the route, see the "By taxi" section, so it's worthwhile to evaluate your physical condition soberly. 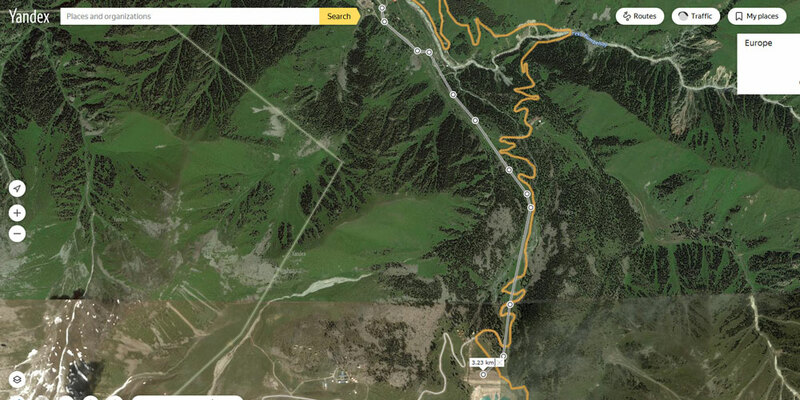 If you still chose this way to get to the lake, then the reward will be the magnificent views that open along the way. Travel time – 1.5 hours (one way). The tour starts at 9.00 am and ends at 6.00 pm. You can order an individual tour (for 1 person or group, date and route - according to your desire). In addition to the Great Almaty Gorge and the Big Almaty Lake, the program can visit the Falcon Kennel «AK Sunkar» and the show with birds of prey, and the waterfalls «Khrustalny» and «Slezki». Cost of the tour – from 4,500 – 6,000 tenge (15 – 20 USD). The cost includes transportation services, excursions, environmental fees. Take food, drinks (at least 2 liters of water for 1 person), sunscreen and glasses, a rug (for a picnic). Take a hat, windbreaker or jacket. Shoes should be comfortable, do not wear slates and slippers, preferably sports pants, as well as raincoats, for the weather.